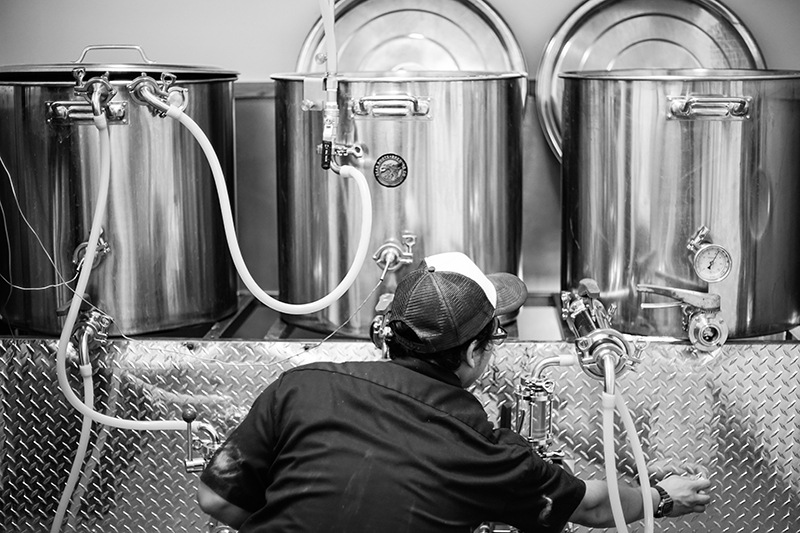 Your Company’s brew day will be focused on fun and letting your staff connect with one another over a pint. Craft Beer is so powerful in breaking down boundaries between people and departments. We want you and your team to enjoy themselves, learn about the craft beer industry and make some quality beer Tax Tiger will be proud to call their own! Since we don’t want the event going to late, the team won’t get through the brew process completely but will design the recipe and branding for your beer along with assisting in the majority of the brew day! Here at Bear Roots we are passionate about people and beer, and also think that Craft Beer is much more dynamic then just beer. It is about our community and investing in the people around us. We believe we can use it as a tool to impact people and small business the same way it has impacted cities and certain economics positively around the nation. We set out to develop a program designed around team building, leadership and all around fun! We know all too often business struggle to find interesting and dynamic resources to connect with staff and grow positive culture in the work force. This is a team building event your staff will want to attend and we guarantee something they will take back to the workforce in a positive way. With over 15 years of Management and Leadership Terry Little, Founder and Head Brewer has decided to take his years of knowledge in business acumen, staff development, Entrepreneurship and passion for Craft beer to a whole new level. Join us in design a custom tailored experience for your business today. Price per person $100.00 (0-20 people) and $125 for each additional person up to 25 people. Event fee is $500. This is charged for any event starting after 10:00 am. We will need to close for the evening to ensure your team enjoys themselves completely. We do have other events at 7:00 pm on that same day, so we will have to ensure we wrap up by 6:30 pm.